Since the late 1970s, James Benning's films have been a regular fixture at festivals in Germany and Austria, while frequent television broadcasts have helped expose his work to an even larger audience here than perhaps at home. This 2-disc set presents the products of this intercontinental relationship: Ruhr, Benning's first foray into digital filmmaking, is a modern-day 'city symphony' dedicated to Germany's industrial Ruhr district. His latest work, natural history, is an audiovisual portrait commissioned by Vienna's Natural History Museum. 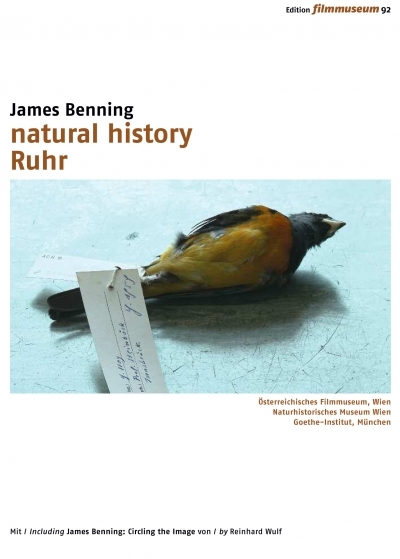 Reinhard Wulf's feature-length documentary James Benning: Circling the Image, produced for German television, rounds off the set.